Smartphone app for sensing stress: AIRS monitors environmental and physiological stress. It may sense tense moments better than you can. 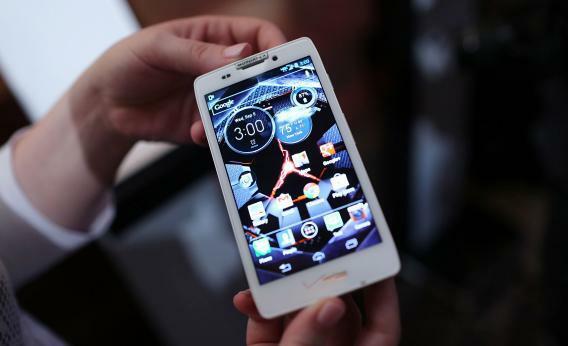 A new app for Android phones can track stress levels. Dirk Trossen, a senior researcher in the computer laboratory at the University of Cambridge, developed the Android Remote Sensing App (AIRS), which logs stressful moments in our lives. It can help us manage pressure and improve our general health, Trossen says. Jon White: You’ve developed a smartphone app to help pinpoint daily stress. How does it do that? Dirk Trossen: The AIRS app uses all the sensors built into mobile devices to measure physical changes. It also records environmental noise and tracks calls and text messages. There are over 60 values the app can record, including surrounding noise level; social activity, as monitored by texts and calls; changing environmental conditions, measured through air pressure as well as light level; and even posture, measured by the phone’s accelerometer. You can also track moods expressed through emoticons and use attached monitors to provide pulse and heart-rate data. JW: How do you use all that to assess the strain people are under? DT: The data feeds into software developed by Dana Pavel at Essex University that allows you to create a story-inspired visualization on your computer. It walks you through your day. If you wish, you can zoom in and focus on flashpoints. What was it exactly that was noisy? Where was I? What texts and emails did I receive at that time? JW: Aren’t people aware of what stresses them and how their bodies respond? DT: We want to help people get away from preconceived ideas of what is important. Heart rate is a very good example. It is such a concrete, well-known parameter that people tend to focus on it. But increased heart rate alone actually gives you very little sense of someone’s stress level. JW: Why is it important to keep track of all of this? DT: Stress can undermine our health in the long run. The fact that today’s workforce is likely to work longer than the previous generation increases the importance of stress management as an aspect of general well-being. We want users to be aware of the ways stress can negatively impact them. JW: What health complications might this awareness ease or even prevent? DT: There is a whole range, including heart disease, or bad eating habits and low activity levels that then contribute to secondary effects, such as obesity. Using available mobile technology, possibly enhanced with physiological sensors, we hope to make people more aware and ultimately reduce the burden on health care systems. JW: You’ve had interest from health agencies. Will we one day see smartphones on prescription? DT: Possibly for certain parts of the population. But for most, it’s about building your own understanding of what stresses you and what makes your day enjoyable. JW: You’ve been monitoring yourself with the app for over a year. What stresses you? DT: Email. Insights into how it interrupts my work have caused me to change my behavior. I now have clear intervals between checking email and even entire blackout days where I don’t look at it. I have also changed how I travel. Yet, apart from stress management, it is sometimes just fun to look back. Though this isn’t its main purpose, the app also makes a worthwhile memory collection tool.